We're back with some more project inspiration to get you sewing, this time featuring Michele D'Amore's Interlude collection! 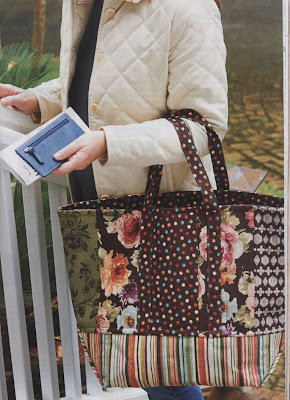 First up, as we approach summer, it's definitely tote season. 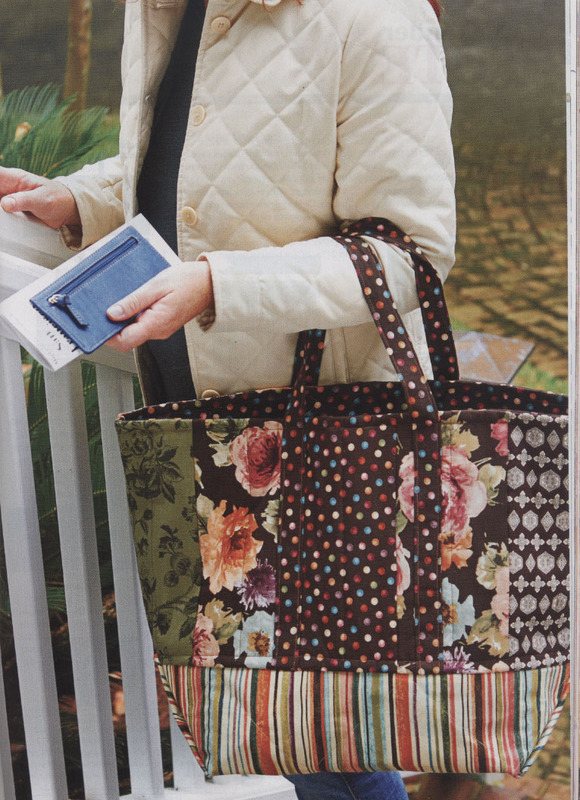 From a tote to carry supplies to a quilting class to a beach bag, you can never have too many big bags! One of Melanie's favorite totes had seen better days, so Joanie made the bag below, a similar size but with more structure. 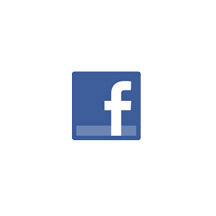 Find the project kit here. 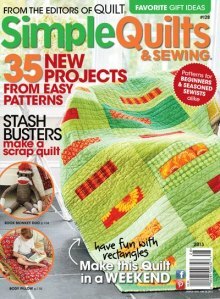 Find Simple Quilts & Sewing here. 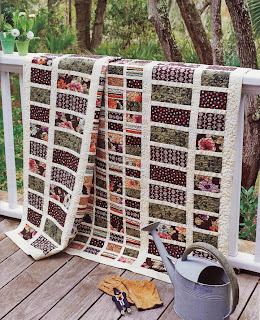 The "Sweet Interlude" quilt, also designed by Melanie and Joanie, features six-patch rows mixed with large cuts of floral fabric. 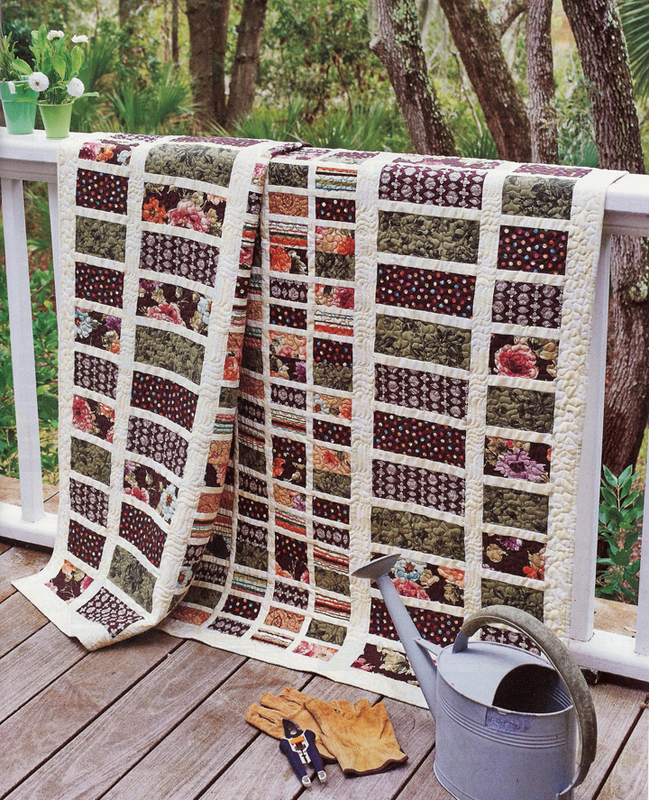 Joanie says that "though this line has a modern flavor, it also has a sweet, peaceful feel to it..." which shines through in this welcoming quilt. 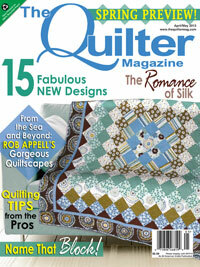 featured in The Quilter magazine, April/May 2013. 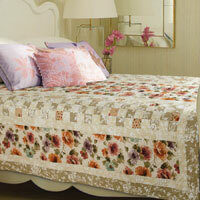 Find the quilt kit here. This quilt has a surprisingly modern feel for something inspired by the old brickwork in Melanie's bedroom fireplace (how cool to have a fireplace in your bedroom!). 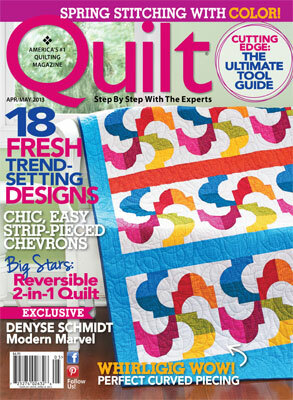 Melanie challenged Joanie to figure out the pattern, and the results are right on the pages of Quilt magazine.